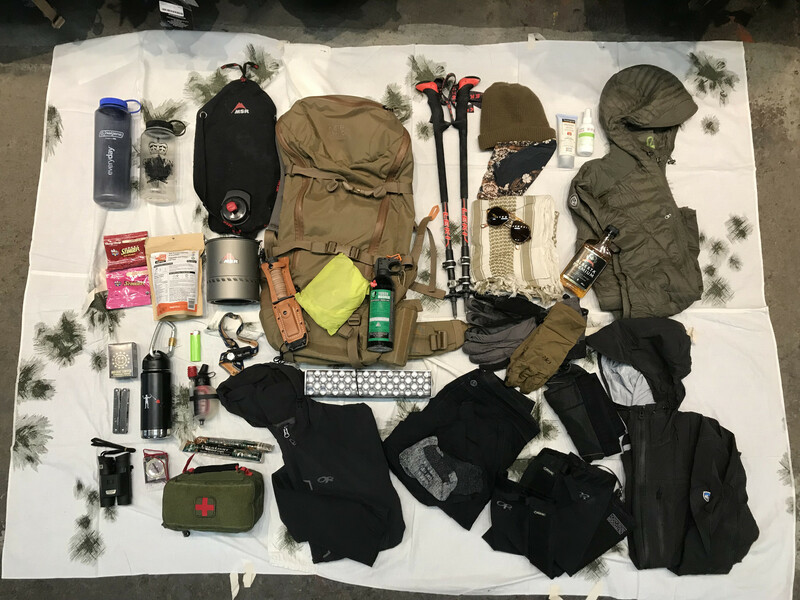 Here is a breakdown of my back country backpack! -Most importantly, there is no where I would rather be than out in the wild with friends, family, and most importantly my dog! Now lets dive into my backpack! Leki Carbon Poles - Even if these are attached to the outside of my pack they are always nice to have! They help you move more efficiently allowing you to get further everyday! OR Crocodile Gaiters - Great for keeping snow, dust, socks, and scree out your boots. Also insanely handy for crossing rivers and keeping you boots dry, you just have to move quickly! These are always in my pack. Kuhl Spyfire - 800 fill down hooded jacket gives you all the warmth you need! My other layers typically are a pair of 5.11 Apex Pants, 5.11 Recon Shirt, BN3TH Boxers, and Bridgedale Socks. I swear by the Lowa Zephyr's. The many pairs I owed have always lasted longer than expected and are instantly comfortable out of the box! MSR Trail Shot - Small, packable, and easy to use! This tiny filter is the perfect size for a solo hike or with a friend. MSR Reactor Stove - This stove is insanely fuel efficient! Truthfully "a lot" of stove for a single day out, but I was too cheap to buy another! Another one I would recommend would be the Pocket Rocket, perfect size and packs a punch. If you have any questions with regards to anything I didn't mention from the photo please leave a comment and I will gladly answer! 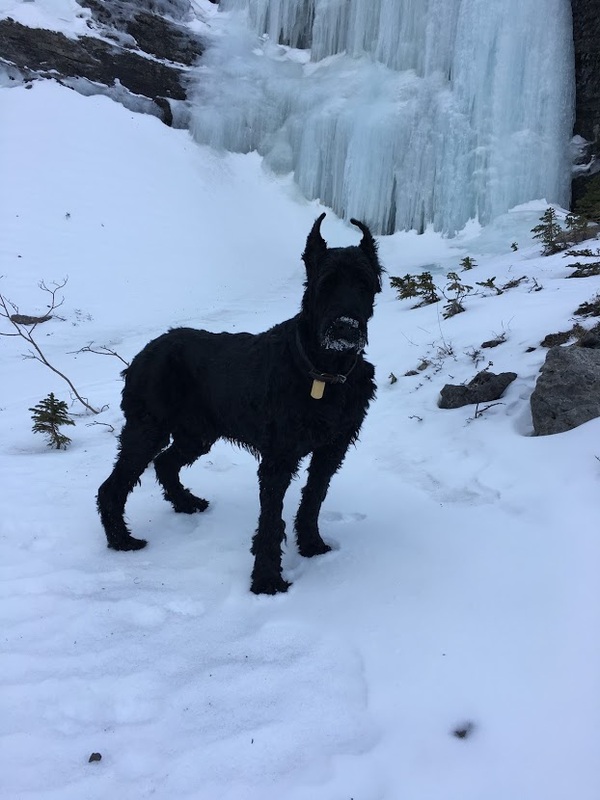 Thanks for reading and enjoy a photo of the greatest hiking partner I have!